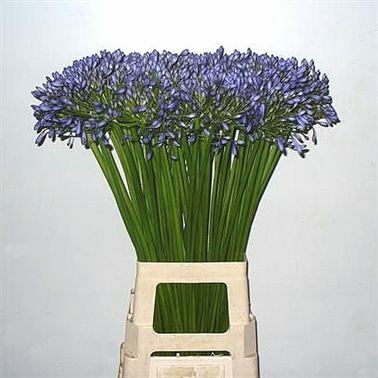 Agapanthus Donau is a very pretty light blue cut flower with multiple trumpet shaped blooms at the top of a single stem. Approx. 70cm tall & wholesaled in 10 stem wraps.